WHY GO: The product that made Milton Hershey a household name – chocolate – dominates everything here; at Hershey Park, in the Resorts, and on Chocolate Ave. downtown where the streetlights are shaped like Kisses. One of the most overlooked attractions in Hershey, PA is, arguably, its most important; The Milton Hershey School. If you come to Hershey and do nothing else, take a tour of this free residential school for 1,900 disadvantaged kids in K-12. A part of every dollar you spend in this company town goes toward the care, feeding, and education of the children there. Of course, most people come to Hershey for the amusement Park, the Chocolate Spa or the stars who appear at the Arena. But make it a point to learn a bit about The Hershey School. You will be moved. VISIT: The Milton Hershey School. Built in 1909 by Milton Hershey and his wife as a school for orphan boys, it has grown from a handful of students to nearly 1,900 boys and girls today. Childless Milton left his complete fortune to the foundation that keeps this free sanctuary in operation for kids from broken families or dysfunctional homes. Dedicated teachers are of the Miss Honey variety; compassionate, engaged and warmhearted. You’ll stand within the World’s Second Largest Rotunda – Founders Hall – and learn about the difference this place makes to many kids. 10am-3pm daily to see Founders Hall and 15 Minute Video, Free. VISIT: The Hershey Story Museum. During WWII, when aluminum foil was unavailable, the Hershey Chocolate Co. stopped making Chocolate Kisses and churned out 1.6 billion Ration Bars for US Troops instead. Find this bit of trivia and the Parade Magazine version of Milton Hershey’s life at this engaging, interactive museum downtown. In response to the harsh and abusive conditions Hershey saw in other Industrial Company Towns, he vowed to make his a kinder, gentler, prettier place. He offered decent housing at reasonable prices for his employees and encouraged residents to start their own businesses. He built community buildings, two theaters, a school for orphans and a recreational park that would become roller-coaster central, HersheyPark. His Foundation established the Penn State Milton Hershey Medical Center in 1963, and according to one bank Chair, “Milton measured success not in dollars but in the usefulness of those dollars for the benefit of his fellow man.” Stop long enough to watch videos of the kids who went to or are attending the Hershey School; they talk about the stability, motivation and compassion they find there. I dare you to leave the museum dry-eyed. 9am-5pm daily in season, $10 adults. VISIT: AACA (Antique Automobile Club of America) Museum. This showcase for dozens of iconic motorcars displayed in a hanger-sized building is fast becoming a hotspot for “quirky” weddings. Pick up a souvenir in the Dog House Garage Store on your way out. 9am-5pm daily, $10 adults, $7 kids. DO: Hershey’s Chocolate World. It’s free, its fast (only 15 minutes) and it’s fun – just like a Disneyworld ride without the expense. Jump aboard carriages that convey you through the chocolate-making process. Animatronic cows croon “it’s all about the milk,” as you see cocoa beans roasted, milled, pressed and mixed with milk and sugar to become, ta-da, Hershey’s kisses and other chocolate products. Amazingly, Hershey Chocolate Co. still produces over 80 million kisses every day. Opens daily at 9am and closes at 6, 7 or 9pm depending on season. Check Website. 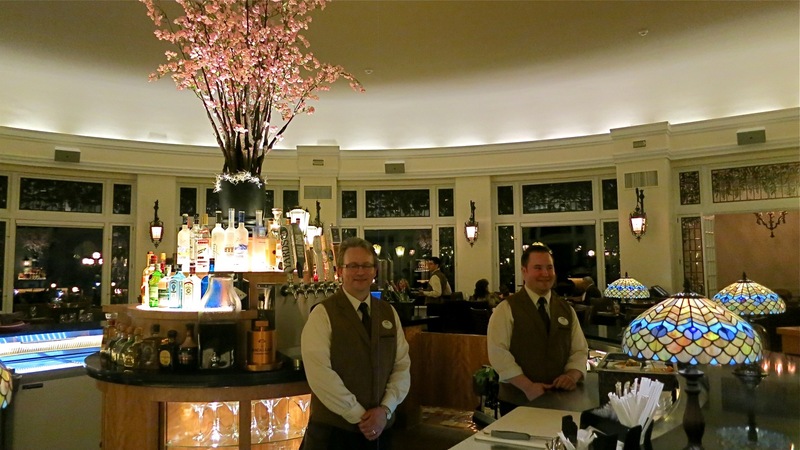 DO/SPA: Chocolate Spa, Hotel Hershey. Luxuriate in a 15 minute patented Whipped Hot Cocoa Bath ($50). Awarded a U.S. patent in 2001, it’s an experience comparable to sitting in a cup of hot chocolate and the spa’s most popular treatment. There are dozens of various treatments including a new, edible facial and Whoopie Pie Mani-Pedi. Leave it to the folks at Hershey to determine all kind of ways to be immersed in the sweet stuff; dipped like fondue, wrapped like a burrito and submerged — all without a single calorie! Contact the Spa far in advance to secure reservation, since they fill up quickly. DO/SPA: MeltSpa by Hershey. Chocolate spa treatments are in high demand in Hershey PA. So, it was wise of Hershey Co. to open up a second Day Spa in town to 1) catch the overflow of guests at Hershey Hotel’s Spa, and 2) serve as an alternative for locals. I had a chance to chat with several local professional women who appreciate the fact that they can easily visit this in-town spa without all the rigmarole of checking in and waiting for services at the hotel. I’ve been to both now and can attest to the timesaving factor and similarities of services. Though the ambience at MeltSpa, including the small “Relaxation Room,” is not as posh as the hotel’s, the treatments are equally fine. My 90 minute “Dark Chocolate Immersion” ($145) – first a full-body exfoliation with Hershey’s Dark Chocolate Sugar Scrub, followed by an application of a chocolate moisturizing cream all over my body, then wrapped in cling-plastic and blankets – made my skin softer than it’s been in decades. Additional massage on my troubled tight muscles rendered this treatment both decadent and beneficial. I also tried the 60-minute Hershey’s Sweet Treat Dark Chocolate Pedicure ($65), which incorporates a lower leg exfoliation and massage. The mani-pedi space features walls of windows that look out to main street Hershey – so while my feet and toenails were quite expertly tended to, I enjoyed people-watching on the sidewalk outside. All in all, MeltSpa at Hershey measures up to the Hershey name. DO: Learn Falconry. 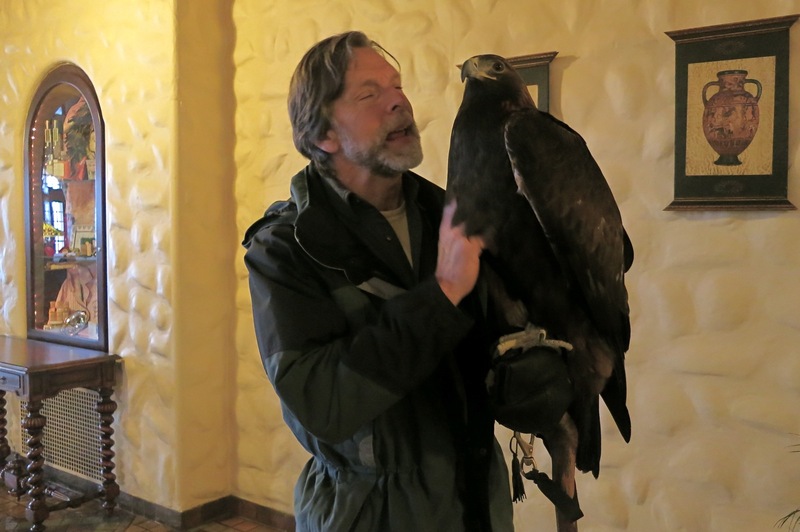 “There’s nothing like calling a hawk and seeing this small bird getting bigger and bigger as it approaches your gloved hand,” says Master Falconer and NBC News 8 Naturalist, Jack Hubley. Take a 1 ½ hour lesson, then holler for your own hawk. Wed – Mon Memorial Day to Labor Day, Weekends in Spring and Fall, April – October, 11am- 12:30, $75 if staying in a Hershey Resort. EAT: The Circular, Hotel Hershey. After an extensive renovation, The Circular has been updated to reflect the tastes of today’s foodie traveler. An O-shaped bar and baking station takes up the center of the whitewashed room (no more mural). Gas-light-style lamps illuminate wood furniture made in the USA accented in various chocolate hues. Gone are “bartenders” and in their place inventive “mixologists” who use house-made infusions in artful (and delectable) cocktails. Chefs and managers have been culled from Four Seasons Hotels, so they understand the new au courant – small-plates market. Sit at the circular bar (hey ladies, it’s got built-in purse hooks! ), graze on absurdly scrumptious “Wild Mushroom Wellington” ($20), Pretzel-Crusted Rock Shrimp ($9) – the PA Dutch version of Popcorn Shrimp and infinitively better – or go full-tilt for the 18oz “Prime Cowboy” steak ($49, but big enough for at least two). End with the Chocolate Fondue for Two ($12). 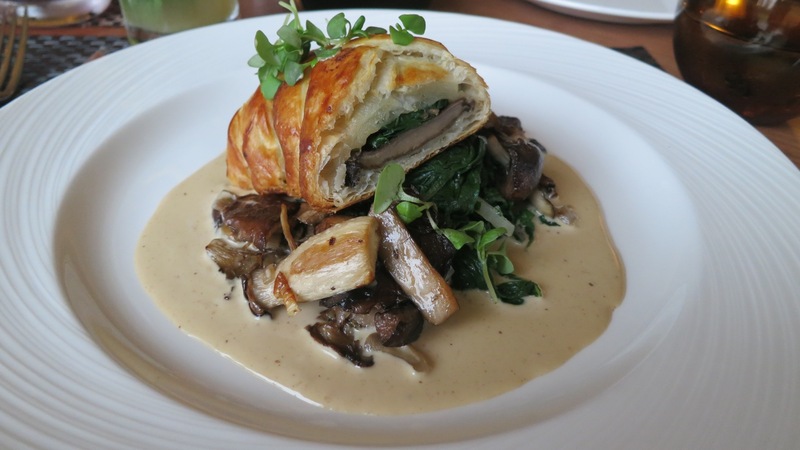 The Circular is Hershey Hotel’s return to excellence and relevancy on the upscale, destination dining scene. EAT: Trevi 5, Hotel Hershey. You can hear screams from the nearby roller coaster riders while enjoying your meal on the patio of this lovely linen-tabled Contemporary Italian restaurant. The food is terrific, and service warm and gracious. EAT/BREAKFAST: Hershey Pantry. Go “off campus” to the local favorite breakfast place, The Hershey Pantry, where you can stuff yourself with Stuffed French Toast and other only-on-vacation breakfast splurges. EAT: The Chocolate Avenue Grill, downtown– offering an inventive and delish take on burgers, sandwiches and salads. Try the Grilled Cesar Salad with Grilled Chicken ($12) – crisp, smokey, fresh, tasty, and not an ounce of cocoa in it. 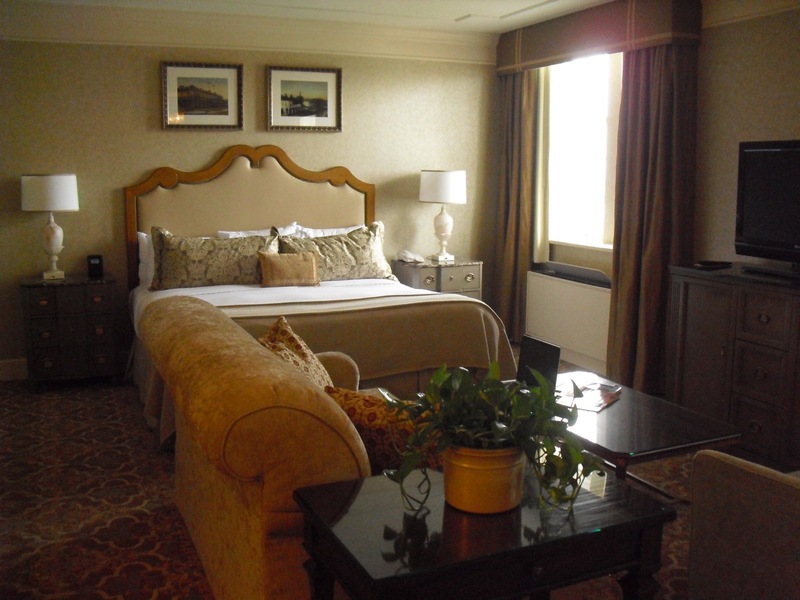 STAY: The Hotel Hershey. Philanthropist Milton Hershey put 600 people to work during the Great Depression in 1933 to build this marquee hotel. Though a bit bland on the outside, the interior, particularly the colorful Moorish Fountain Lobby (designed like the Heliopolis Hotel in Egypt), and The Circular Dining Room, are magnificent. Family-crest chic rooms in soothing neutral shades of creams and butterscotch, are lusciously appointed. The Chocolate Spa is located on premises, as are a slew of resort amenities and of course lots of shops that carry all things Hershey. $279 and up per room includes chocolate bar at check-in, discounts to Hershey Park, free shuttle to local attractions, free passes to area museums, and a host of amenities. STAY: Hershey Lodge. Once upon a time, this was the more rustic, “family friendly” brother of the upscale Hotel Hershey. But most of the 665 rooms and suites at the Lodge have been refreshed to luxury standards, and the lobby sports a large and impressive four-sided stone fireplace around which HersheyPark-weary parents take a much-needed load off. 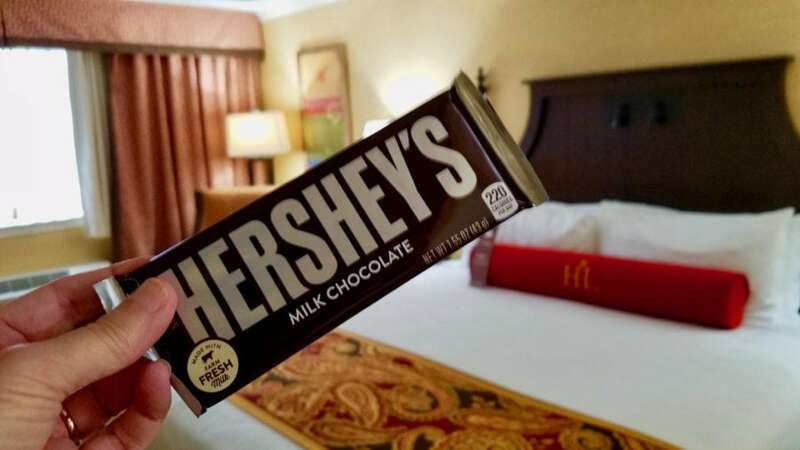 Of course, as a Hershey Co. property, you get a full-sized Hershey’s Chocolate Bar at check-in, and your room includes an hour early access to Hersheypark, complimentary admission to Hershey Gardens, complimentary admission to the Hershey’s Story Experience, free front-gate shuttle service, and discounts on Park Entrance fees. Room rates from $179 off season to $479 in season. STAY: Inn at Westwynd Farm. Not every lodging in the Hershey area is part of the company town. Take this 32-acre working horse farm /B&B, just three miles away. With an ambience ripped from the pages of a romance novel, 11 pasture-view rooms have a fireplace and bedside Jacuzzi and are done up in whites and creams offset by deeply colored window treatments and bedding. Watch a variety of horses, alpacas and donkeys gambol all over a vast expanse of farmland. Westwynd Farm is known for its three course hot breakfast served in the cathedral-ceiling great room or on an outside patio besides a koi pond. $109-$209 per room gets you unlimited baked snacks, soft drinks, beer, wine and gourmet 3 course breakfast for 2. Like this post? Put a pin on it!